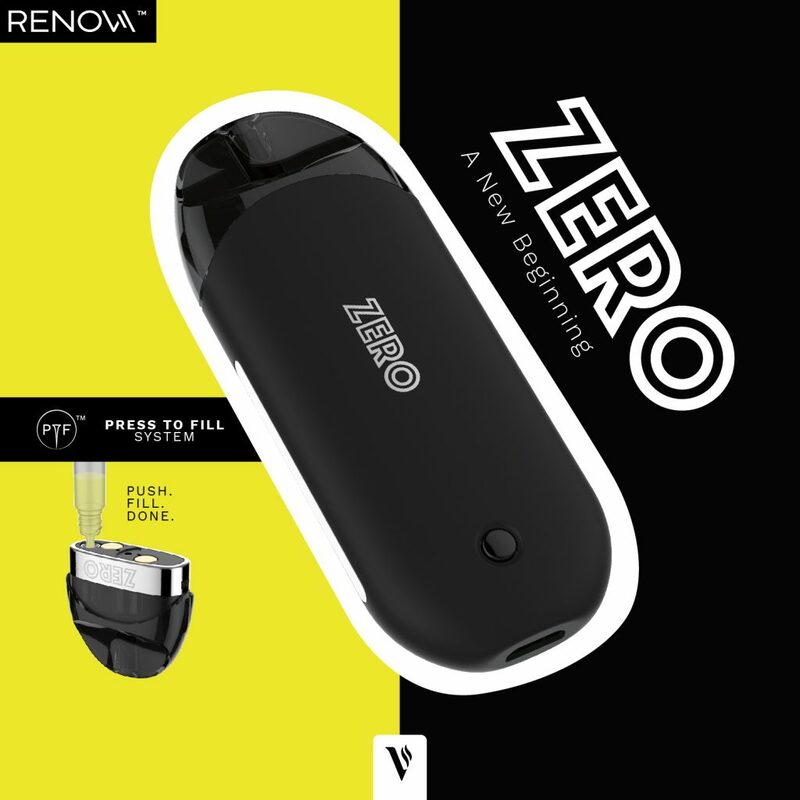 Once again, we are taking a look at another Vaporesso product – Vaporesso Renova Zero Pod Kit that aims to convert smokers to vaping. Vaporesso has done a magnificent job planning out key releases part way through the year. They have introduced several AIO (All-In-One) style kits as well as premium devices for experienced vapers so it goes without saying they are getting a little extra attention. Pod systems with draw activated sensors are becoming the standard among converts when making the jump from smoking to vaping. Why? These systems are excellent at recreating that hand to mouth habit that smoking produces. So the brain is tricked into thinking that this device is a cigarette, ultimately increasing the chances of staying off cigarettes. Many manufacturers have come out with their own versions of these systems since the beginning of 2018. Each device is aesthetically different but their core operation is for the most part, the same. Experienced vapers have even accepted these devices into their collections, combining them with nicotine salt e-juice makes for a satisfying experience. Stick around and learn all there is to know about the Zero from Vaporesso. Vaporesso does an excellent job of designing devices that have appealing aesthetics, that is a fact. When it comes to pod style systems, originality is a difficult task as there are only so many shapes that can be achieved when hundreds of manufacturers are all making the same style device. The Renova Zero has a similar shape when compared to most pod systems in it’s class. It also has somewhat of a similar shape to their Nexus device which was released not that long ago. 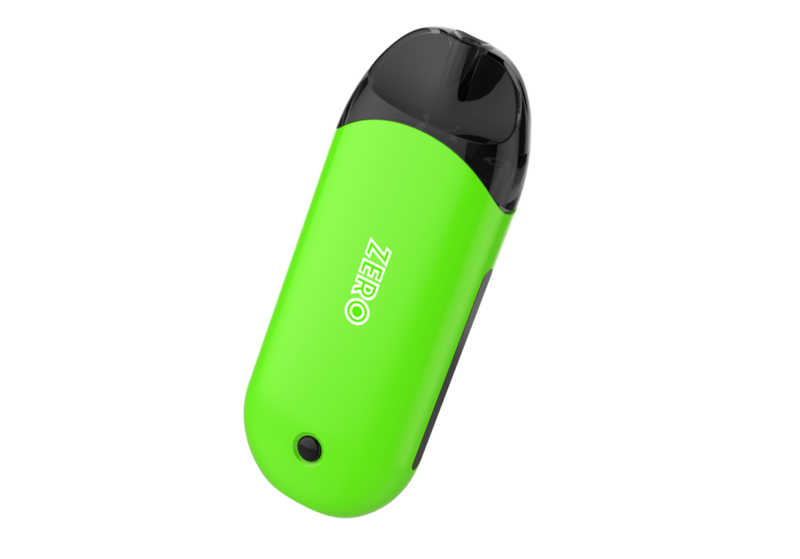 The Zero is sort of an oblong oval shape with a removable pod/mouthpiece. The refillable pod houses the coil which is a 1ohm CCell coil, the same style ceramic coil found in various Vaporesso Sub-Tanks, just shrunk down to fit the Zero. 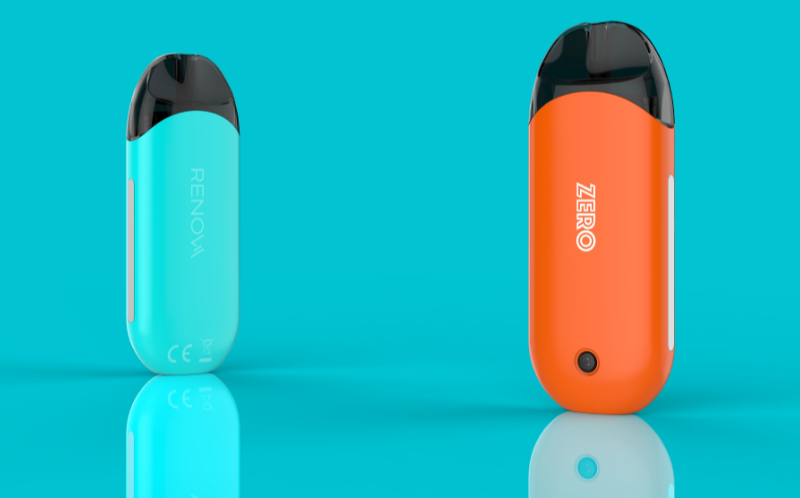 Size wise, the Renova Zero comes in at just over three inches long, one and a half inches wide and just a hair over half an inch thick. As you may imagine, this makes the Zero a very portable and stealthy device. If obtrusive hardware is a concern, the Zero will not be a concern at all. Placing design details where normally they would not be found is a nice touch. Just at the base of the POD vaporesso has placed the “Zero” logo, a nice aesthetic touch. Different from other Pod systems, the Zero does not operate off a draw activated sensor. This device has a easy one function button that needs to be pressed in order to fire the coil, not a big deal but the draw activated sensing devices are definately nice. Overall, for what it is the Zero is a nice little compact device. As with all things Vaporesso, the Zero ships eqiupped with the Omni Board Mini. The OMNI is the proprietary chip used on all of Vaporesso’ premium devices like the Revenger, Switcher and Polar. The Omni board is as capable of accurate performance standards as any DNA chip with its instant firing features and superb safety features. OMNI also provides ultra fast charging speeds. The 650mAh battery in the Zero is at a full charge in just 45 minutes. With the large battery capacity, whopping 2ml pod capacity and the quick recharge speed, the Zero is going to perform well on all fronts. The liquid in the pod should last quite a while, even for experienced vapers. Vaporesso rarely dissapoints. Each device they release is well thought out, has great asthetics and equipped with the OMNI board, each device is able to hold it’s own. Pod systems are here to stay and each manufacturer is having their crack at their own versions. The zero has a that signature Vaporesso look and feel to it but it’s also very basic. Functionality wise, it’s fairly comparable to most Pod systems but the Omni is going to set it apart from all the rest. This device is a must have in any and all collections.